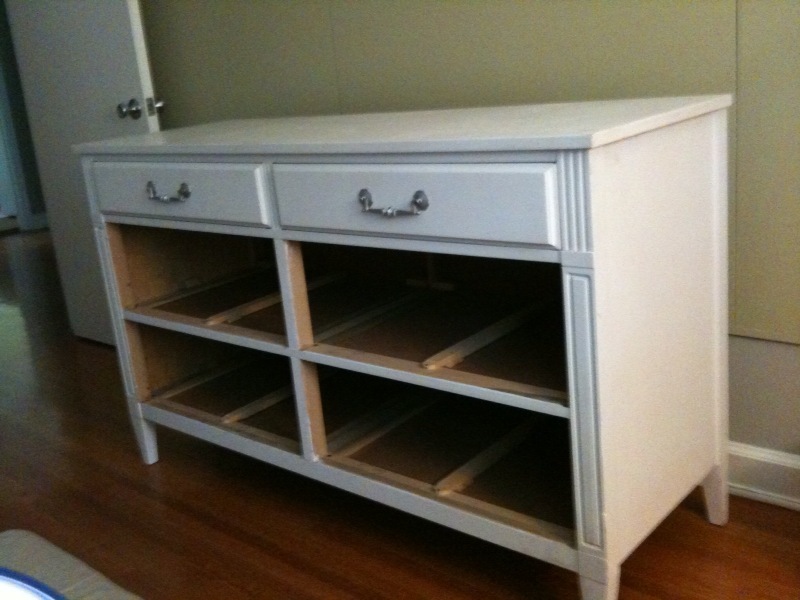 Last summer, we painted this thrift-store dresser for the guest room. It is admittedly girly. I will not tell a lie. 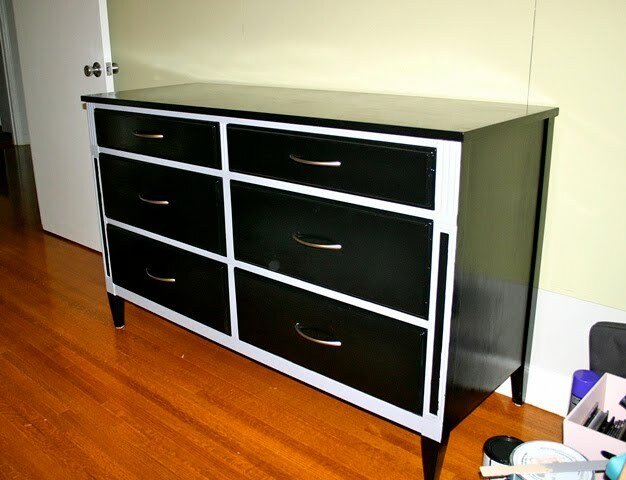 So, when we procured this dresser from our friends, the Reasons, and were planning its makeover, we decided to go down little manlier road. 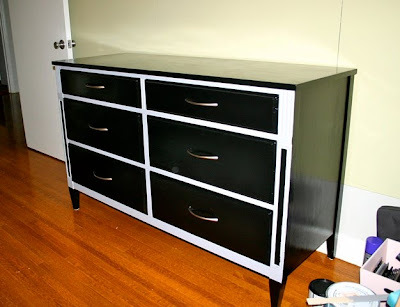 Enter glossy black paint, with some grey accents (Behr's "Anonymous" also used on the other dresser). Thankfully, we found the hardware at Ikea this past weekend in Texas. The drill holes are spaced a little over 5" apart, which are not easy to come by at Lowe's/HD. Look at that shine! 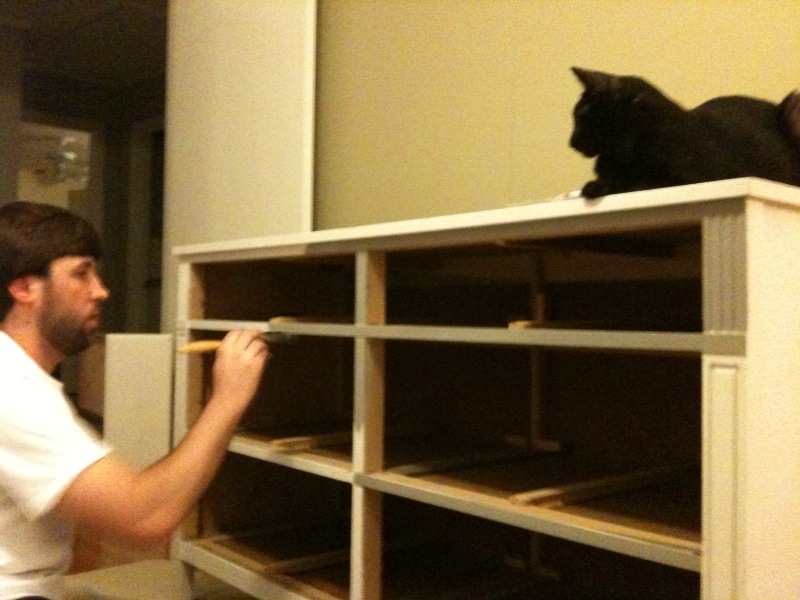 We're gonna get a piece of glass cut for the top. I'll give you the whole shebang when that room is done (which, most likely, won't be for a while). Yay! Another project [sorta] finished. love the aloe plant! I just got one myself a month ago when Clara burnt her hand on the grill. We just happened to have someone in the neighborhood that could look at it and tell me to go get one of those plants! Worked like a charm...however, I just planted it in a small kitchen pot. 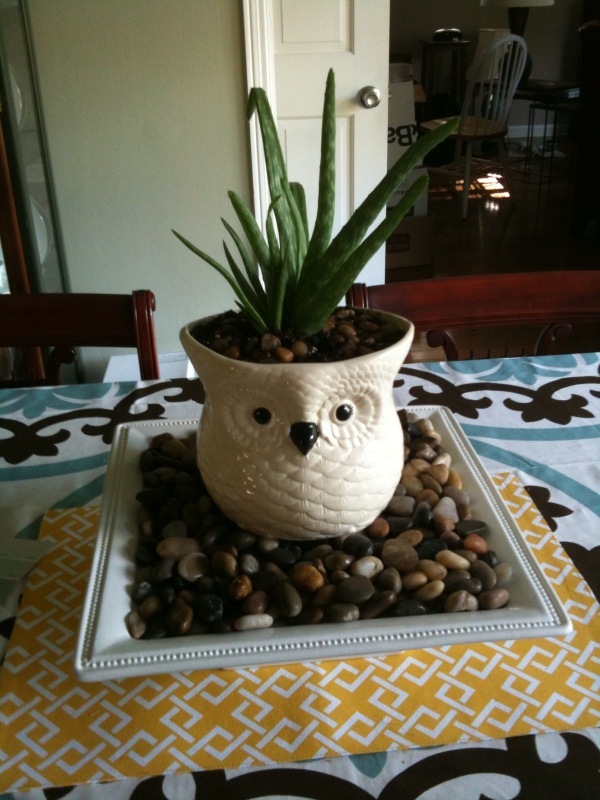 Took me forever to decide what to do with it....LOVE the OWL!! HA! Where on earth did you find that? the dresser looks great! can't wait to see more!